With the twenty-second pick in the 2014 NFL Draft, the Cleveland Browns put an end to the first act of The Ballad of Johnny Manziel and drafted the controversial quarterback. 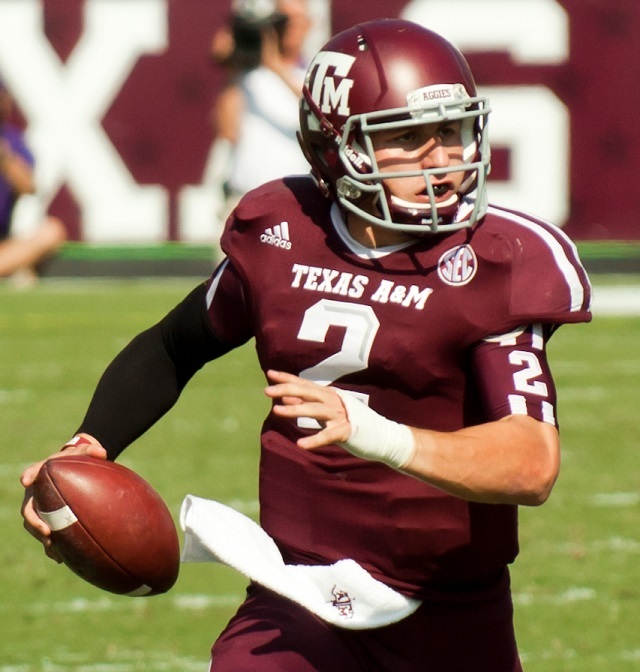 Needless to say, the move was widely heralded by fans, pundits, and everyone following the draft — while some may claim in hindsight that Johnny Football’s freefall wasn’t so much a surprise as it was an accurate assessment of the quarterback’s abilities, rather than the hype that follows him around like a puppy follows its owner. Regardless of the tone, no one walks away from a career that will at least rival the glory days of the last ESPN wunderkind, Tim Tebow, without an opinion. And, because they’re the Browns, the reaction was even more prone to gallows humor than you might expect. Cleveland fans are kindly referred to as tortured by most sports types, a reference to the fact that the city’s teams have a much closer association with failure and disappointment than victory and championships. And, with that in mind, we’ve been scouring the Internet for the best responses to Manziel’s draft day — from the incessant repetition of his name with each subsequent pick (and the short lived hashtag phenomenon #BeforeManzielGetsDrafted) to the collective “ew” and tempered optimism when the Browns selected him. 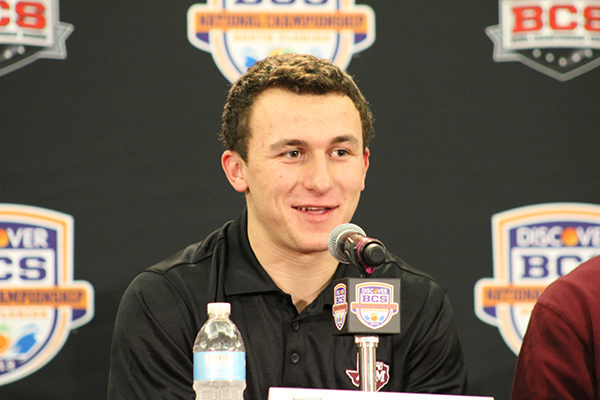 Beyond that particular hashtag, and as Manziel continued to spiral towards Dallas’s pick at No. 16, @thecajunboy delivered the definitive judgement on the potential outcome of Johnny Football, a Texas Native, joining up with the Cowboys. Grantland’s Andrew Sharp, an avowed Cowboys fan — the poor guy — described the possibility in his Manziel Coverage, writing that “putting someone as unbearable as Manziel on the Cowboys just felt like destiny. Everyone was rooting for it to happen as the Cowboys pick approached. He would join forces with Jerry Jones and Dez Bryant and Tony Romo, and they would all go troll the universe together.” If only — the Cowboys would take OT Zack Martin with the pick. First of all, hats off to Braven Fernadez, who managed to hit on Cleveland fans’ biggest disappointment of the last decade while tying in Manziel’s friendship with LeBron James all in 140 characters or less. Fernandez’s tweet proved that the games had only just begun when Manziel got taken off the board. As Browns fan Lauran Schenone told Cleveland.com, “If anything, we don’t have (Brandon) Weeden. We have two decent quarterbacks instead of an OK one and a sucky one.” What a ringing endorsement. Others were more blunt about the shift, like Sam Perry, who simply tweeted “Going to the Browns…Manziel’s career is over before it even started.” Ladies and gentlemen, your 2014 Cleveland Browns. As for his new teammates, incumbent quarterback Brian Hoyer sent out a largely perfunctory congratulations, and the Cowboys admitted to having a thoughtful discussion over drafting Johnny Football. One group of people who were beyond excited, though, were the ones in this room full of Browns fans. That’s right, there is now documented proof of happy Cleveland fans. They are real! They do exist, however briefly! Check it out.